After a three year apprenticeship at an automotive and industrial coatings manufacturer Andreas Stüttgen studied “Paint Technology” at the University of Applied Sciences in Krefeld (Germany). 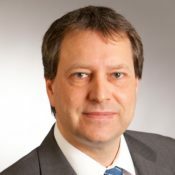 In 1994 he joined the Applied Technology of former Tego Chemie Service GmbH with responsibility for wetting and dispersing additives and industrial coatings. In 2003 he relocated to Evonik Colorants Group in Piscataway, NJ where he held various positions in Applied Technology and R&D. Three years later he assumed the role of Head of Applied Technology in Maastricht, NL. Since 2012 Andreas Stüttgen is back at the Business Line Coating Additives in Essen, Germany. He is now Senior Manger Applied Technology for Marine, Protective & High Heat Coatings as well as Coatings for General Industry.